Sorry about the delay in getting this to you, but … at last, a report on the 2015 Home Internationals and some other bits and pieces. This year’s series of Senior, Veteran and Junior competitions were inextricably linked to the Rugby World Cup: the teams came together to watch Japan beat South Africa after the Senior individual race at Malham in Yorkshire on September 18th. 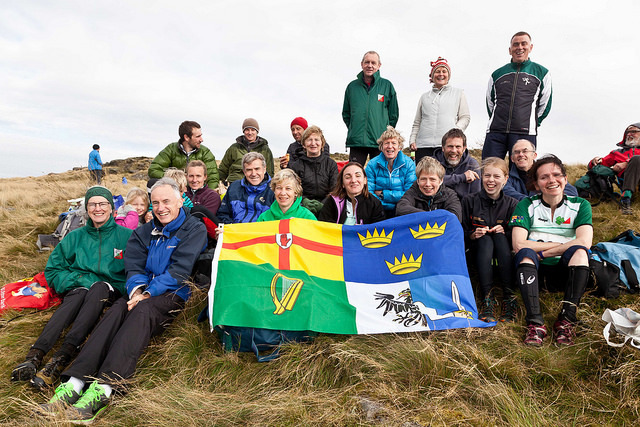 The giant killing was not limited to the Rugby field, with Ireland finishing equal 3rd with Wales, 4th after the individual race on the open limestone-strewn hillside, with particularly good individual performances from James Logue and Aislinn Kendal. At the SHI the Monks’ Road individual race area was pretty easy, with vague contours and not much to do except go straight, until things got a bit more interesting towards the end of the courses with some more detail in terms of rock features, pits and contours. However, considering the the organisers lost access to a substantial part of the area, including the most interesting part, only two weeks before the event, it was a minor miracle that the event could go ahead at all. Running conditions were perfect, after the early fog cleared, and the Yorkshire Dales showed that they could promise some interesting orienteering at next Easter’s JK international event. 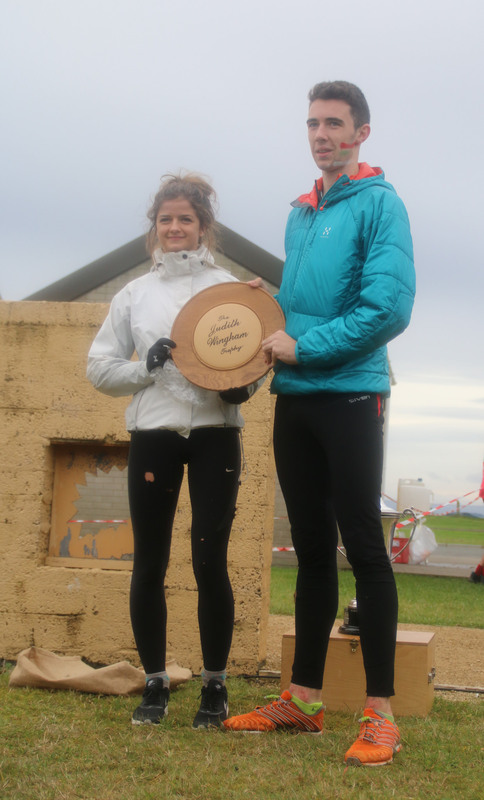 The best Irish time on the 13.4 km/460m M21E course was James Logue in 10th, with Aislinn Kendall finishing best lady, 12th in the 10.75 km/360 m W21E class. Sunday’s Relays, at nearby Hawkswick Clowder & Arncliffe, brought us up to 3rd, 3 points ahead of the Dragons, with Scotland and England stretching their lead over their Celtic cousins and finishing well ahead. Dense fog made the drive to the area quite interesting and the terrain was more challenging than the previous day: open hillside with plenty of limestone, some walls, crags, pits and depressions. Our best relay results were Marcus Pinker, Conall Whelan and James Logue in 7th, with the other teams 8th and 9th, while the top women’s team of Toni O’Donovan, Aislinn Kendall and Clíona McCullough also finished 7th.. The other two women’s teams finished joint 8th. The final score was Scotland 58, England 46, Ireland 16, Wales 13. See the event report and full results here. VHI, Wales Three weeks later it was the Veterans’ turn: the M/W35-65 team travelled to the heart of Wales, equally inaccessible from Holyhead. Liverpool, Cardiff, Manchester and Birmingham, so at least it was fair. The Llyn Teifi map had been used for two of the days in the 2012 Welsh 6-Day based at Aberystwyth, but those races were in August: was it wise to run the VHI and Welsh Championships there in October? Both the individual and relay were to be on adjoining areas in the same terrain, close to Fron Goch Farm (not the same Fron Goch as the internment camp, though – that was near Bala). Despite wins from M35 Shane Lynch and W60 Ruth Lynam, 2nd places from M40 Marcus Pinker and W35 Toni O’Donovan, and a last-minute appearance from Anne May in W65, we trailed Wales by 20 points after the first day. The Relays, then, allowed the Welsh to pick up a further 20 points, demolishing Ireland’s efforts and ending with a final score of: England 254, Scotland 223, Wa1es 149, Ireland 109. See the full results here. Meanwhile, a very partisan Welsh crowd in the local pub watched with delight as England’s Rugby team lost to Australia. Caoimhe O’Boyle, 3rd W18 in the Individual event. The big screen at the team accommodation was showing New Zealand v South Africa on the afternoon of the individual event, while the more cultured (ahem!) members of the teams visited the Giant’s Causeway (“Worth seeing, yes, but not worth going to see” according to Dr Samuel Johnson, the great lexicographer). Not a tree to be seen in any of the Home Internationals: so much for the “forest sport”! The Seniors had ankle-breaking limestone karst like the Burren in Clare and Fermanagh, the Veterans had two days on an exposed Welsh mountain top and the Juniors had the open sand dunes at Magilligan, on the north-west coast of Co. Derry, where the Lough Foyle base line was measured at 41,640.8873 feet or nearly 8 miles by Thomas Colby in 1824, at the start of the Ordnance Survey of Ireland. 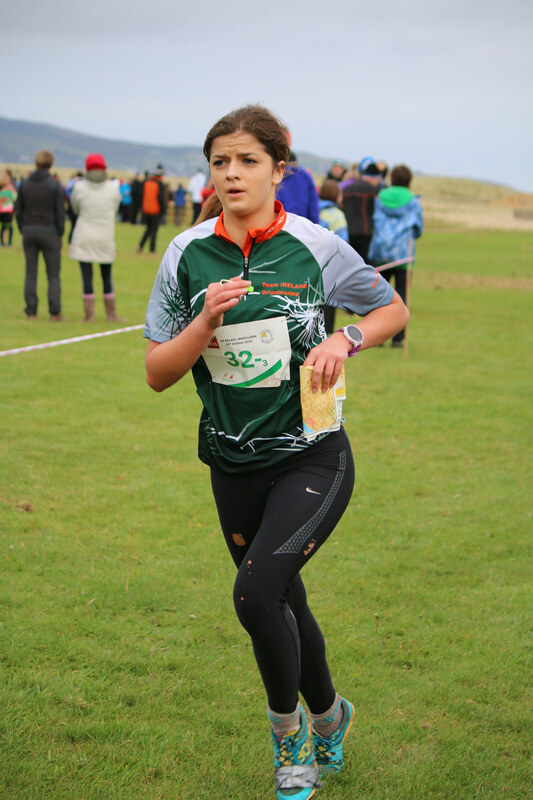 The 3rd place from W18 Caoimhe O’Boyle (our first podium place for 4 years) and solid runs from other team members left Ireland in a good position overnight, with the relays on the eastern part of the map the following day. The best placed women’s relay team finished 6th (Emer Perkins, Rachel Collins, Caoimhe O’Boyle) and the best men’s team was 10th (Cameryn Kelly Morrish, Aidan McCullough, Peter Meehan). The final score was Scotland 129, England 124, Ireland 59, Wales 48. See the full results here. There’s another report by Allan Bogle of NWOC here, with a link to more photos and a video of the relays. Next year it will be Ireland’s turn to host the Veterans and the Juniors will be travelling to the north-east of England for the Home International. The Senior event will be at Newborough Forest on Anglesea, a great sand dune area, in October – only 30 minutes from Holyhead. 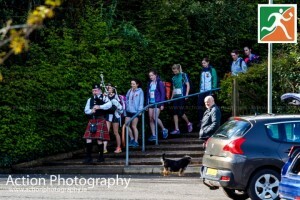 The big two, Scotland and England, slug it out themselves: the UK teams have big events to go to, lots of competition and more high-quality orienteering than we have: bigger numbers in the races mean you have to try harder to win. 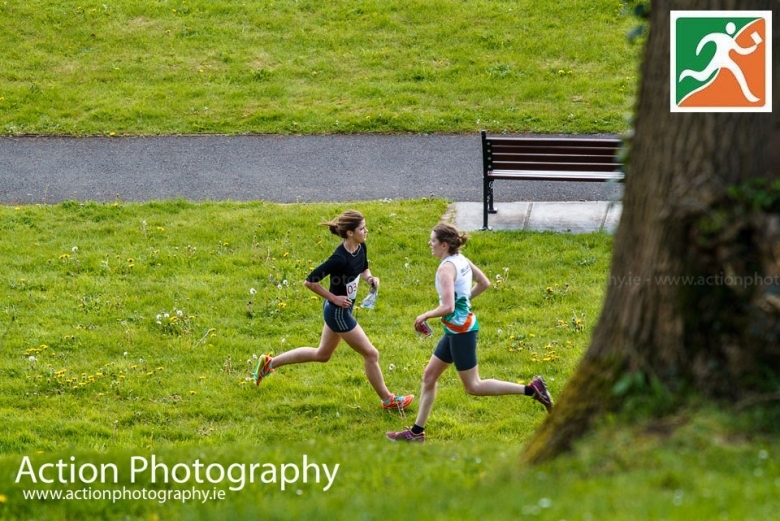 While some of the top orienteers, particularly in the Senior event, opt not to run, the Home Internationals are the first opportunity our juniors and many of our seniors have to experience high-pressure competition, with all that it entails, and it’s a great stepping-stone to events like the European Youth Championships, the Junior World Championships, and beyond. Meanwhile, for the Vets it’s still a hotly-contested race and with a maximum of two representatives in any class, it’s still regarded as an honour to represent your country. In fact, you could spend longer on the Vets’ team (M/W35 to 65 is maybe 35 years!) than as either a Junmior or Senior. Shoulder to shoulder, we’ll answer Ireland’s call! NWOC also ran the Northern Ireland Championships and the Irish Middle Distance Championships at Magilligan the same weekend as the JHI. 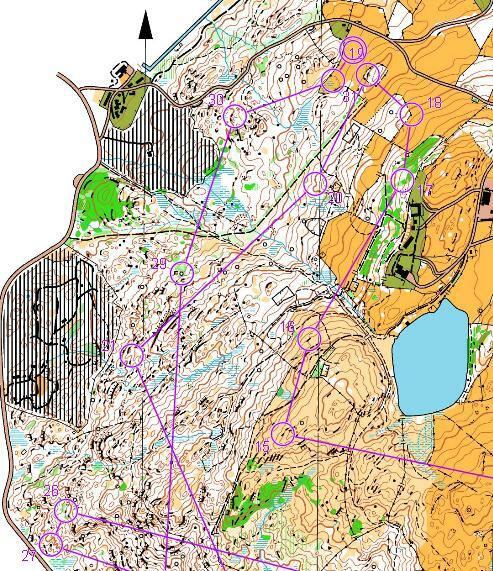 It’s a good area but the courses were a bit disappointing, maybe not using the full potential of the area, with some easy path runs across the area and some controls visible from afar on both days. This doesn’t detract from the winners, and maybe there were restrictions that we were unaware of. Extremely windy and at times wet conditions both days made the running tough and two lung-bursting run-ins into the teeth of the gale, in the full view of spectators, made for a severe finish. Taking on all these events for a small club was a major challenge and NWOC carried it all off very well. The Middle Distance Championship was left over after IOC in May where the three races covered the sprint, classic and relay disciplines, so well done for taking it on. The UCD pair of Colm Moran (UCDO/3ROC) and Niamh Corbett (UCDO/CorkO) took the two Elite titles at the IOC and also at NIOC. A Major Events Conference will be held on Saturday 30th January at the Maldron Hotel, Portlaoise. It will include reviews of the Irish Championships and Shamrock O-Ringen in 2015, and topics to be discussed include competitor safety in extreme weather conditions, missing competitors, planning junior championship courses, the format of the Relay Championships, entry service providers, and the marketing and promotion of major events. The conference will be of particular interest to officials of major events , and those to be involved in major events in the near future. The subsidised cost of the conference is 20 euro, rising to 25 euro. This event is for members of IOA or NIOA affiliated clubs only and the organiser reserves the right to refuse registration. 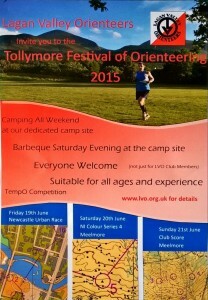 Promotion and Increasing Participation in Orienteering. Cost effective advertising and marketing tools. The seminar will be a combination of lecture, discussion, exercises and examples. It will be an opportunity to both learn and to share experiences of promoting the sport. There will be press & media packs available for all attendees. Speakers include Dr Una May, Director of Participation and Ethics, Irish Sports Council. The course will run from 10am – 5pm. Registration and coffee 9:30am. This will also be at the Maldron Hotel, Portlaoise. Register here. 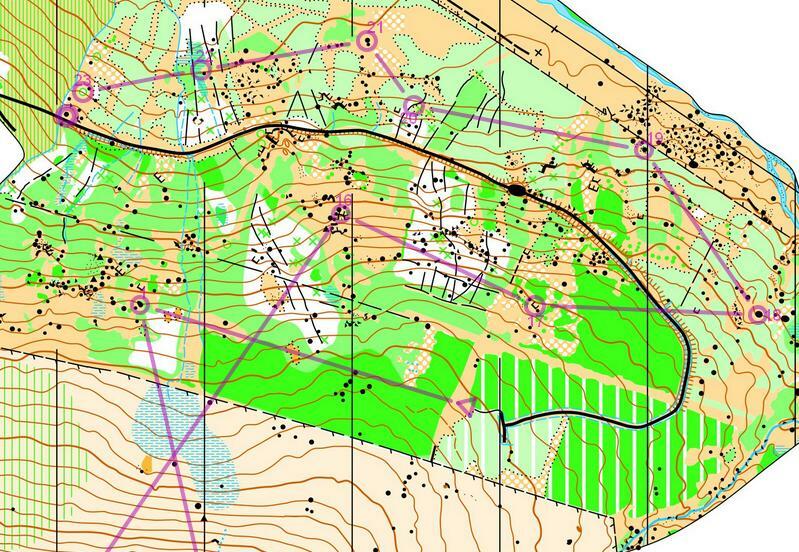 The Scientific Journal of Orienteering is alive and well in an online form. The journal has been published since the 1980’s, on and off, and the current issue dealing largely with mapping can be seen here. Buy the new Irish Junior Squad fundraising calendar, now on sale for 2016, with lots of good O-photos featuring juniors and former juniors. €10. Two new Permanent O-Courses opened recently at Tymon Park in Dublin and at the People’s Park, Portlaoise. Details on the IOA web page here. Next up will be the long-awaited report on the World Championships and Scottish 6-Day in August. There’s a report on the WOC here already and more very good reports in the current CompassSport magazine (www.compasssport.co.uk). We had one representative at the World Mountain Bike Orienteering Championships in August in the Czech Republic, CNOC’s Mick Farrell, and his report is here. Don’t forget to enter the Munster Championships (Kilworth, Co. Cork on 13th December). Details here. I thought it was as well to get this out there and to put in some illustrations over the next few days. Where to start? The terrain? The weather? The range of events? The fact the LVO took it all on themselves? Or that they effectively had to produce seven maps for the event? 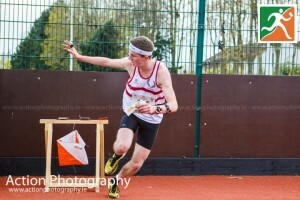 The first Relay win for Bishopstown? All of the above? These were all features of a great Irish Championships on the May bank holiday weekend, where LVO treated us to urban sprint orienteering, followed by exposed complex mountain, followed by forest, topped off by trail orienteering on a golf course and followed by a day on non-Championships urban orienteering in Lisburn with a sprint relay mimicking the World Championships conditions and a full-length urban race around the city. At the Elite end, honours went to Niamh O’Boyle (CNOC) and Nick Simonin (BOC) in the Classic race at Slieve Croob, in weather conditions which were, if anything, worse than last year: cold, wet and stormy, with cloud on the upper slopes. Was it worse than the Leinster Championships at Carnawaddy in 2005? Yes – it was colder. Lots of non-finishers and several cases of mild hypothermia, but the organisers had wisely insisted on weatherproof gear for all runners (does anyone but orienteers refer to them as “cagoules”?). Nick was followed home by Nick Barrable with Eoin McCullough (DUO/3ROC) 3rd, while in a close-fought ladies race Ciara Largey (FermO) finished 56 seconds adrift and Toni O’Donovan (CorkO) a further 52 seconds down on Niamh. 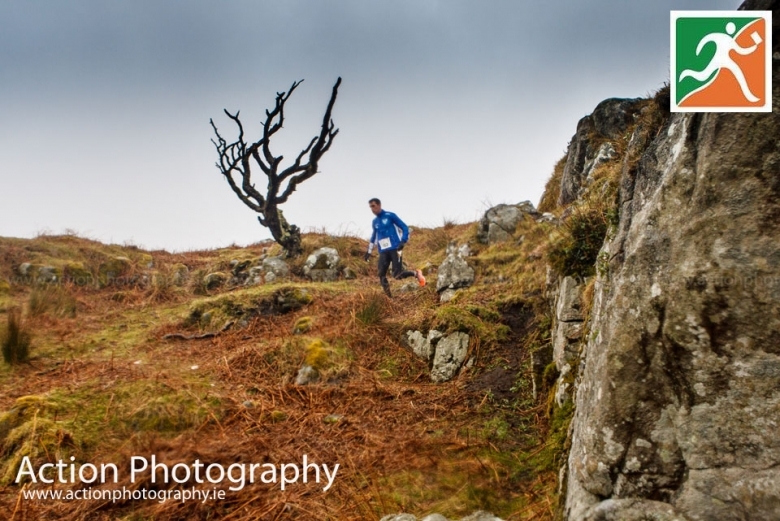 Areas like Slieve Croob are difficult to plan on: difficult to plan short and easy courses and short, technical courses: an anomaly was that some “Classic” courses on Slieve Croob were shorter than the same classes’ “Sprint” courses the evening before. 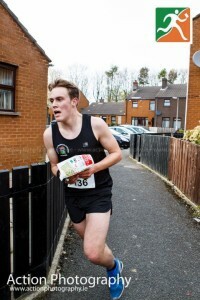 That’s what make orienteering what it is! The previous evening, planner Igor Stefko treated us to a run around a fast and fairly tricky small housing estate at Lisburn, with lots of alleyways and hedges. Niamh again showed her versatility, winning the Women’s Elite sprint by 4 seconds from Scotland’s Kirsten Maxwell, while top Irish runner in the Men’s race was 2nd placed Darren Burke (CorkO) bracketed by sprint specialists Murray Strain (Scotland) and Nick Barrable (England). The sprint event and Monday’s Sprint Relay used “SI Air” electronic timing chips, where you just need to pass close to the control rather than actually punch, which improves the runners’ flow in the race and was a popular feature for the Elites. Runners were advised to look to the east from the Sprint finish arena to see the distant hill surmounted by radio masts: this was to be our last look at Slieve Croob, since the forecast for the next day was bad and we were unlikely to see it, even though we’d be running on the area! Sprint orienteering (with winning times in the 12-15 minute range) isn’t to everyone’s taste but you just have to try it – it’s such fun! Lots of controls, lots of route choice and quick decision making. There must be urban areas all over the country which could give the same challenge, but there’s a lot of work involved in producing the maps and the numbers may not be there to make such an event financially viable. After the rain and wind of Slieve Croob, the relays in the sheltered environs of Hillsborough Castle were a welcome relief. Initially the organisers opted for a novel and safe arrangement where all first leg runners would go in a mass start, then all second leg, then all third legs, with some mathematical reconstruction at the end to add the times together and find the winners – this was on the basis of expected bad weather. However, the rain stopped, the sun shone, and the event went back to a normal relay format with leg 1 handing over to leg 2 and so on. The forest, mostly flat with some detailed patches, surrounded a lake and the start, finish and changeover area was in Hillsborough Fort, a great arena with good views of incoming runners from the battlements. Some green patches (i.e. thick vegetation) with drains, early on some legs and late on others, weren’t the favourite part of the courses, and the recent growth of vegetation in the forest reduced visibility significantly in places, so it made things a bit more difficult. Bishopstown, with a team of Josh O’Sullivan-Hourihan, Niall McCarthy and Nick Simonin, took their first Irish Relay win, with sisters Caoimhe and Niamh O’Boyle running with Regina Kelly taking the Women’s Trophy for CNOC: quite a weekend for Niamh! 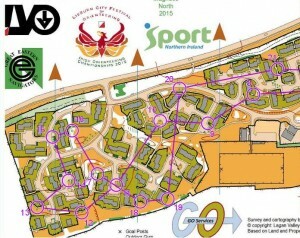 Back to Lisburn for Monday, with IOC officially over but plenty of orienteering still to be done. 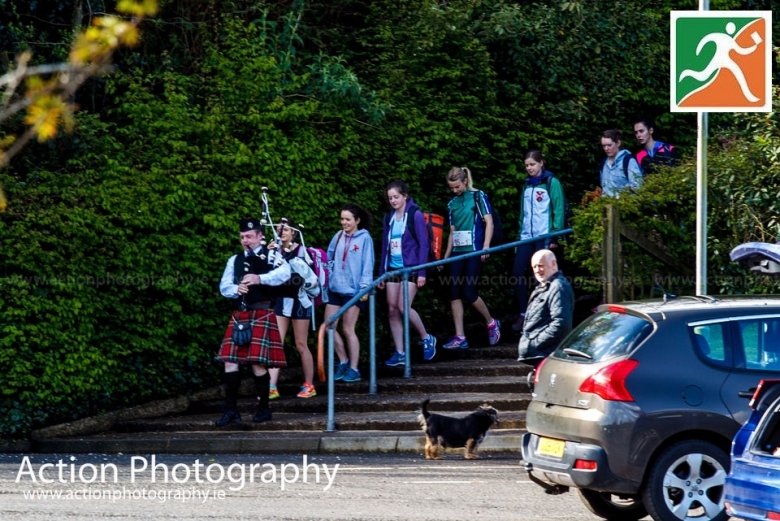 The venue was Lagan Island, where the runners for the Sprint Relay were marched down from the quarantine boxing club (President – Barry McGuigan) with a kilt and a skirl of the pipes – probably not endearing themselves to the local residents expecting a quiet lie-in on a Bank Holiday morning! The Sprint Relay format, seen in torrential rain at Trento in Italy at last year’s World Championships, has man-woman-woman-man running in that order. Ten teams took part, fewer than had been hoped for, but featuring runners from Ireland, Scotland, Finland, Sweden. The arena was right beside the Lagan Canal, but there the similarity to WOC 2014 sprint in Venice ended. Lisburn turned out to be surprisingly hilly, with some nice route choices and tricky map reading. The event was won by the Ireland 2 team of Susan Lambe, Eoin McCullough, Marcus Pinker and Olivia Baxter, after the sensational disqualification of the Ireland 1 team following Darren Burke’s mispunch on leg 2, denying Niamh O’Boyle a first place in each of her four races. The relay was followed by the City Race, with the M21 course being won by Murray Strain, followed by Shane Lynch and Hugh Cashell, with Kirsten Maxwell, Sarah Jane Barrable and Olivia Baxter the top three women. While all this was going on, Alan Gartside was working away quietly on the Aberdelghy Golf course, running the Irish Trail Orienteering Championships. First place went to visitor John Kewley with top Irish finisher LVO’s Lyle Fleming retaining his title from last year. You can see all the results, split times and routes on the LVO IOC 2015 web page http://www.ioc2015.org/results/. The IOA again arranged for John Sheils to photograph the Championships and his “Action Photography” photos can be seen here. Well done again to LVO for doing a great job in very difficult conditions. 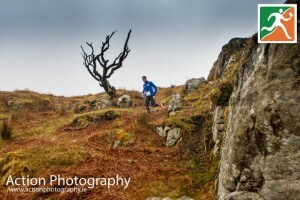 The Way that We Climbed is a new book by Paddy O’Leary, one of the founding fathers of Irish orienteering. Paddy was Director of Tiglin in Co. Wicklow, which at the time was the National Adventure Centre, an institution which sadly no longer exists. Before that, however, he was a keen mountaineer and rock climber, activities which he continued during and after his years in Tiglin. His book charts the history of Irish mountaineering from the 1870’s to the present and the index is a “who’s who” of the Irish outdoors. 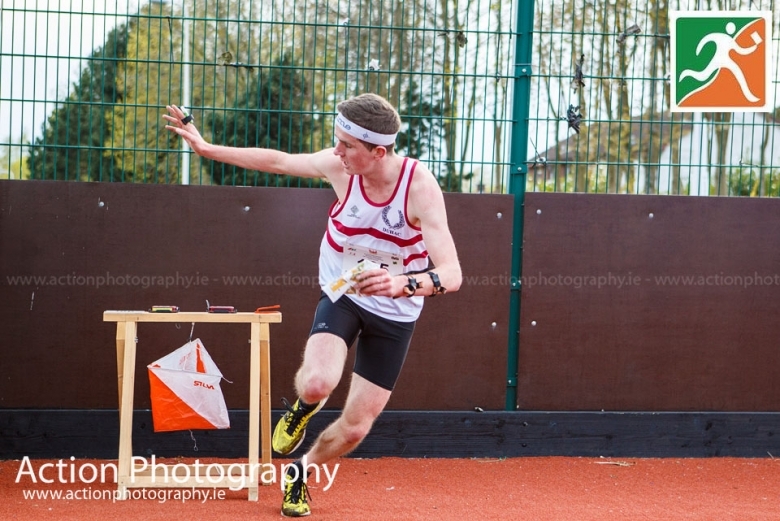 Many familiar orienteering names appear – Lynam, Rothery, Lunt, Finlay, Rice, Convery, Kellett, Long, and even some current names like Philip Brennan and Joan Flanagan. Did you know that one time IOA Secretary Pat Redmond had a history as a mountaineer before that? Rather like orienteering, Irish mountaineering lacks the challenging terrain of some other countries where mountaineers need to go to broaden their experience and test themselves, but the challenge and the enjoyment that those who opt for the home-grown sport has to be acknowledged. It’s fascinating to see the careers many of these had before coming to orienteering. and a great work of persistence and scholarship. Probably not a book to read from vover to cover but to dip into, the index at the back is a good place to work from. Anyone interested in the history of the outdoors in Ireland will enjoy it. The book runs to more than 300 pages and is well illustrated from the photographic collections of many of the featured climbers. “The Way that We Climbed” is published by The Collins Press at €15.99 – those of us at the launch were lucky to snap it up at the special price of €20! O-Bits … What have we to look forward to this summer? Obviously the Shamrock O-Ringen, now in its 19th staging, in Glengarriff on the June Bank Holiday weekend. Entries are at the 200 mark, with the usual large proportion of visitors from abroad and comparatively small number of Irish orienteers. See here for details. 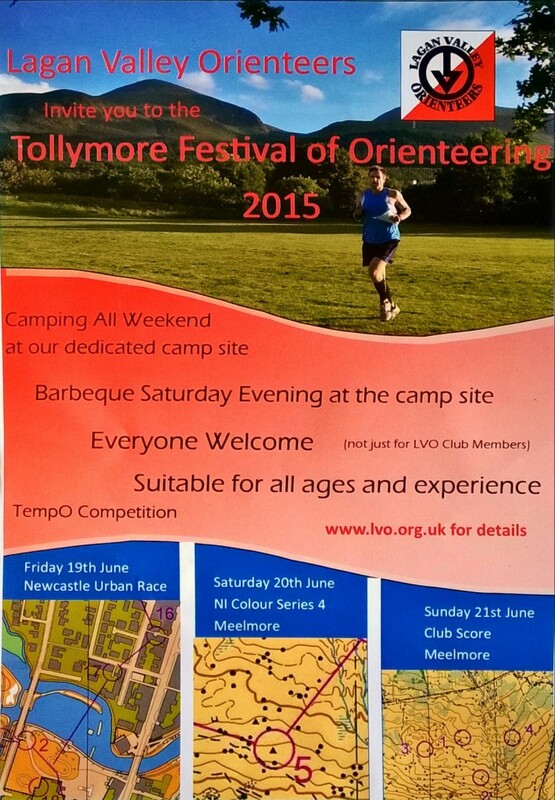 The LVO “Tollymore Festival of Orienteering” is on June 19-21, starting with an urban sprint in Newcastle followed by two events in the Mournes, with camping and a barbecue at Tollymore – a great weekend, if previous years are anything to go by. See here for details. Local midweek evening events continue in the Belfast area, in Dublin/Kildare and Cork, with details on the IOA Fixtures page. 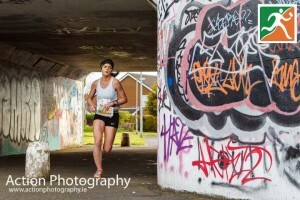 Some novel events this year include CNOC’s urban race in Naas on June 9th and Fingal’s urban event at Tyrellstown on July 7th. August of course sees the World Championships combined with the Scottish 6-Day at Inverness (August 2-8) and entries are still open. 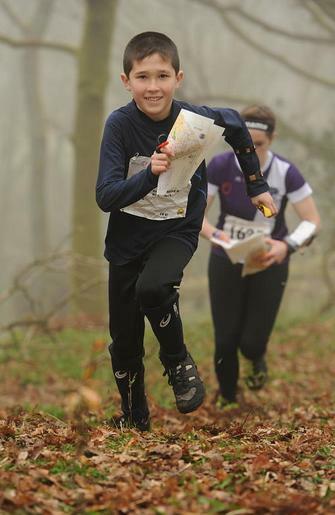 Expect more than 3000 running, in all age classes from under 10 to over 90, from all over the world – it’s a great opportunity to see top class orienteers in action and get some of the action yourself. See here for details. Later in the year we’ll have the Northern Ireland Championships and Junior Home Internationals at the end of October at Magilligan sand dunes, Co. Derry, on 24th/25th October. What did we miss? The Irish Championships isn’t the only championship we had this spring: Leinster Championships on April 19th promised to bring us back to the Lough Firrib area of Co. Wicklow, scene of last year’s Irish Championships which were characterised by rain, mist and low visibility. However, most courses were run on a mixture of tricky forest with lots of clearings and boulders, very like part of Kanturk Mountsin, with only the longest courses venturing up onto the peat hags and contours around Lough Firrib itself. 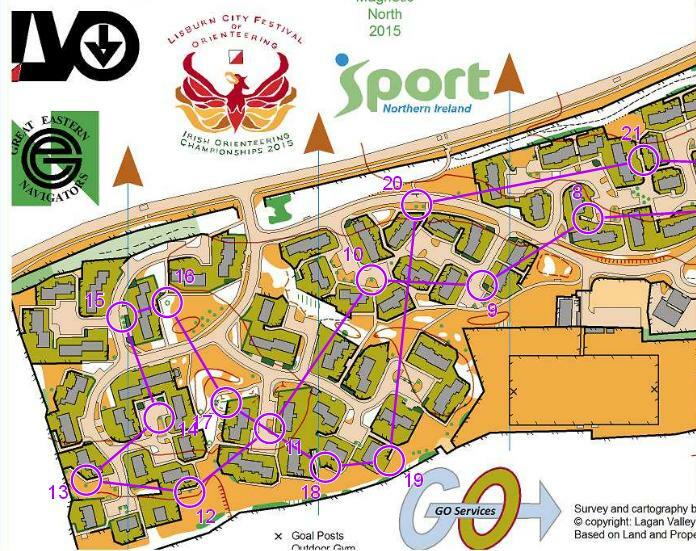 Organisers Setanta also ran the shortest courses on a small section of map, Oakwood, where the Juniors ran last year. Once again, a difficult area top plan on, resulting in some bit leaps in distance from one course to the next. The mid-length courses had a “Grand Old Duke of York” feel to them, where the competitors were brought up the rather unremarkable mountainside only to be brought straight back down again. The forest was surprisingly interesting, with few tracks and lots of vegetation changes, and you certainly had to keep your wits about you there. Multiple Munster Champion Darren Burke (CorkO) won the M21 E course, 28 seconds clear of DUO/CNOC’s Conor Shoprt, and Niamh O’Boyle (CNOC) took the W21 trophy with a bigger margin on Róisín Long (Ajax). You can see the results and routes here. 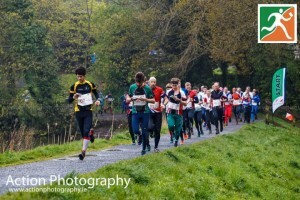 I was there and so were about 130 other Irish orienteers from North and South, a great turnout. 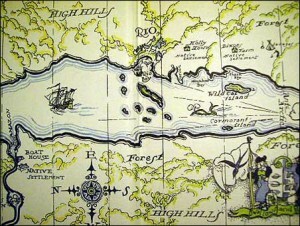 The Lake District provides some of the best orienteering in Britain, with craggy, contoured runnable natural forest and open fells, the home of fell-running. 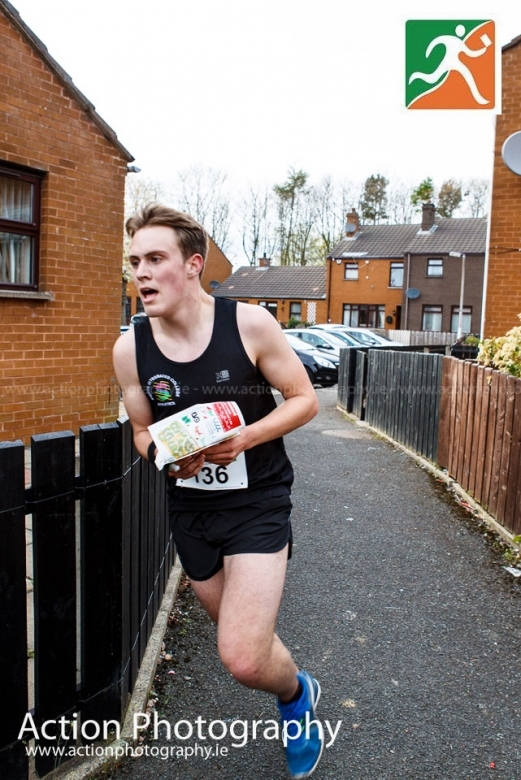 This year’s event saw orienteering returning to some areas used for JK many tears ago: Bigland, Ulpha and Greythwaite, with the addition of a sprint race at Lancaster University on Good Friday. Best Irish performances were ex-NWOC James Logue, winning M45 Long after winning the M40 Long course for the past five years or so, and Zoe Tyner, 2nd W14A, who was presented with her prize by none other than international star Thierry Gueorgiou of France. Ruth Lynam was unable to defend her W60 title due to injury. The weekend included three WRE (World Ranking Events): the Lancaster University sprint, Ulpha middle-diatance and Bigland classic race. There was a large international contingent, including Danish, Swiss and Czech teams using the event to prepare for the August World Championships in Scotland. Best Irish performances in M21E were Eoin McCullough, 44th in the Sprint, Nick Simonin 40th in the Middle Distance and 22nd in the Classic race. In W21E Niamh O’Boyle finished fastest of the Irish in the Sprint in 51st (won by Emma Klingenberg of Denmark (and Ireland! )), with Toni O’Donovan 37th in the Middle and 40th in the Classic. Nick was 24th overall, Eoin 45th and Marcus Pinker 49th. 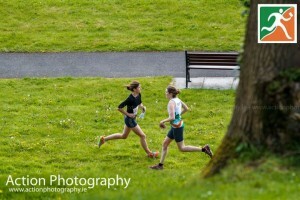 Toni was 37th, Ciara Largey 70th and her sister Eibhlin 82nd. Other notable Irish results included Róisín Long (7th) and Aoife McCavana (9th) in W20 Elite, Cuan Riordan and Luke Collins were 1st and 2nd in M12B, and Ronan Cleary 3rd M55S. At one time we used to start looking for the irish results at the bottom – now we start looking at the top. Full results, photos etc here. After a break since late last year, The Irish Orienteer is on the way back, with a new look which should allow easier access from the Irish Orienteering Association web site. To read anything published in TIO up to October 2014, follow the link here. After a super JK last weekend in the English Lake District where several people mentioned to me that they really miss The Irish Orienteer, we’re back to report on what’s been happening and what’s coming in the near future. The Leinster Championships at Lough Firrib, near the Wicklow gap (scene of last year’s Irish Championships) on Sunday 19th April, followed by the Irish Championships at Lisburn, Slieve Croob and Hillsborough, and the Shamrock O-Ringen at Glengarriff are all imminent. Another unique event coming up is Setanta’s Wicklow Rogaine on 27th/28th June, so get started entering! The Leinsters entry date has been extended to Wednesday 15th April so you may still get an entry if maps are available. 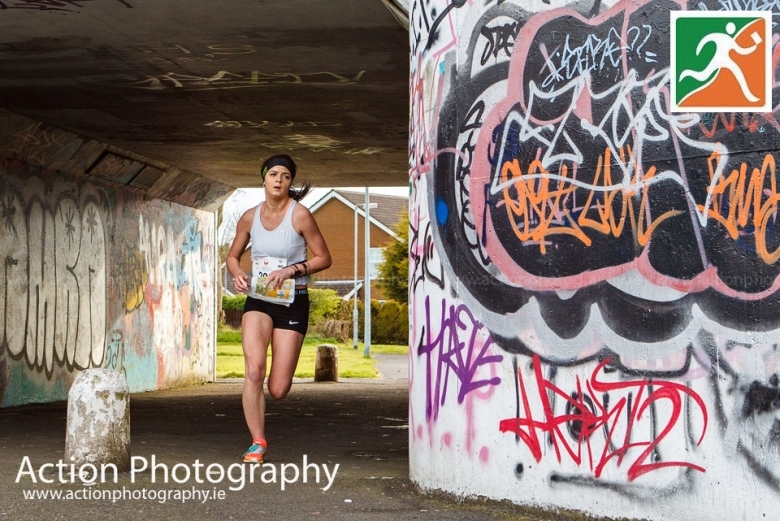 Just announced is UCDO’s plan to host a sprint race at the Belfield campus on the afternoon of Saturday 18th April, the day before the Leinsters – good preparation for the Irish Sprint Championships at Lisburn two weeks later. This event is not yet on the IOA Fixtures list but more details should be available soon. I have to say that I am very concerned about one aspect of orienteering (several interlinked aspects, actually), but the one that bothers me in particular is mapping. The death of Setanta’s Brian Power, until recently the IOA Mapping Officer, brought home how few mappers we have and how much we depend on them. We have a lot of maps, produced over the years, which now need to be revised to meet the expectations of 21st Century orienteers: they want accurate, up-to-date maps, beautifully drawn with OCAD, geo-referenced so they can reconstruct their routes using GPS, printed on waterproof paper with overprinted courses. They want new areas surveyed, and old areas revised to the same standard. In the part, maps were produced by dedicated volunteers like Brian Power, Pat Healy, Pat Flanagan, Padraig Higgins, Seán Cotter, and they spend a lot of time on these projects. Nowadays we don’t seem to have so much time and we rely on a small group of people to survey and produce maps. Admittedly the technology has moved on, to provide us with LIDAR basemaps, GPS surveying and computer aided drawing, but these technologies are expensive and specialised, and not everyone is interested or able to use them. So where do we go from here? We have some mappers who excel at urban maps, where the need to go into uncharted terrain is minimal, and we need to develop these kinds of map. We can attract new people to orienteering if we bring the sport to them, rather than force them to travel to us in the wilds of Wicklow or West Cork.